The book is based on a series of lectures given at the University of Geneva during the spring semester of 2011 and more recently at the Catholic University of Milan. 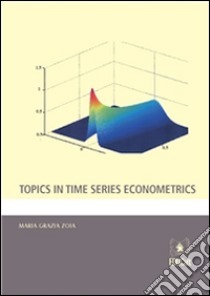 The main objective of the parent courses “Econometric Analysis of Time Series” and “Advanced Econometrics”, respectively, was to establish a sound statistical and mathematical toolkit for time series econometrics, while reappraising selected topics in the field of classical econometrics. The logical interdependence between the various chapters (and appendixes) of the book is indicated in the accompanying diagram.